Neuromorphic engineering, also known as neuromorphic computing, is a concept developed by Carver Mead, in the late 1980s, describing the use of very-large-scale integration systems containing electronic analog circuits to mimic neuro-biological architectures present in the nervous system. Presently, computers utilize the von Neumann architecture for processing data. This method sends information back and forth between the central processor and memory chips, following a very linear pattern. In contrast to this, neuromorphic chips encode and shuttle data in a series of electrical bursts, modeled after the synapses of the brain. Synapses in biological brains respond to sensory stimuli and change their connections based on learned experience. 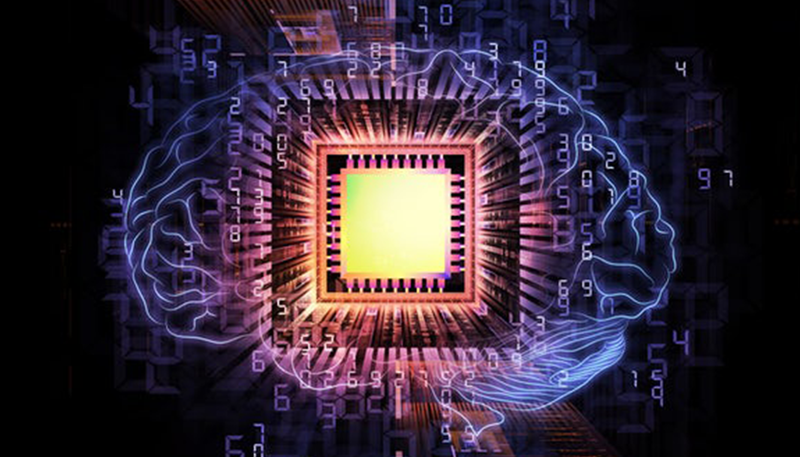 Neuromorphic chips will develop in the same way by etching its neural networks into silicon and be able to combat issues never before faced by the processor due to its past encounters. In comparison to general-purpose chips, neuromorphic chips are not as flexible or powerful. However, they can be specialized to specific tasks more efficiently than other solutions and are, therefore, more energy efficient. Larger amounts of information can be packed into each “burst” from the chip, making it able to encode and understand more data in less time. The continuing advancement of neuromorphic chips sparks important implications for technology and its developers. The most obvious is that artificial intelligence and the machines utilizing this technology will be able to interact with the world in a more human-like fashion. It also introduces features to technology such as the ability to recover from damage, adapt to change, and develop based on learned principles. With a lower energy demand, neuromorphic chips would also allow developers to incorporate AI abilities into a wider range of devices. Glasses utilized by the blind that use sensors to identify objects and its surroundings, returning audio cues to the user. Smartphones that make suggestions based on surroundings or interrelated applications. For example, automatically entering do not disturb mode when the user goes to bed, providing background information on a client before a meeting, or taking pictures of recognized individuals in a scene.